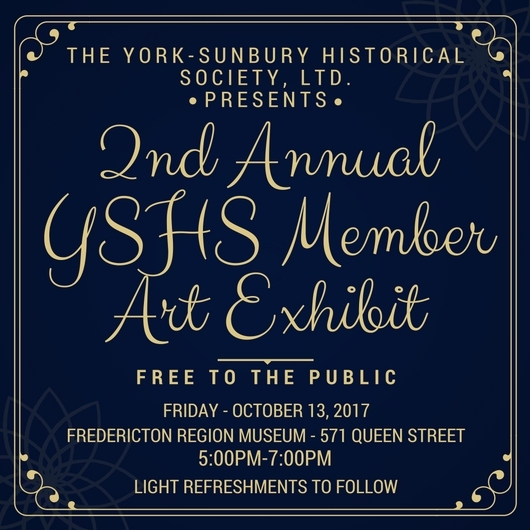 On Friday October, 13, 2017 the York- Sunbury Historical Society will be hosting our Second Annual Member Art Exhibit! Come visit the museum to see all of the beautiful artworks on display created by our very talented members! The event runs from 5:00pm- 7:00pm and is free to the public! Light refreshments will be served during the opening!